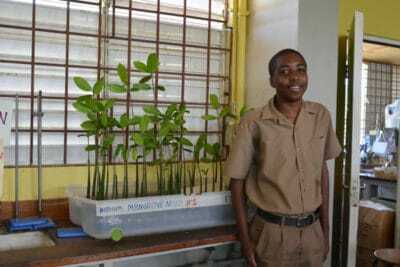 Traditionally, mangroves have been harvested in Jamaica for charcoal production and to make fishing gear. Large areas have been cleared for development of houses, hotels, and agriculture. 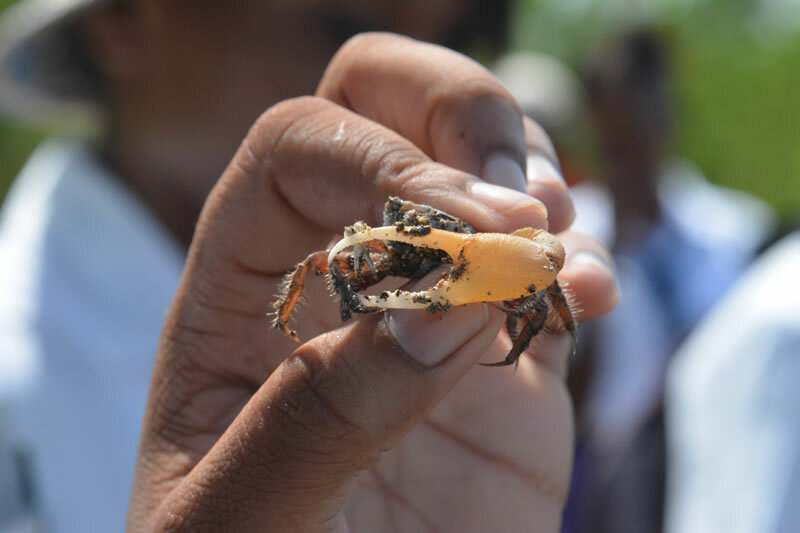 According to a study conducted by the Food and Agriculture Organization (FAO) of the United Nations (2005), 30% of Jamaica’s mangroves have been lost. 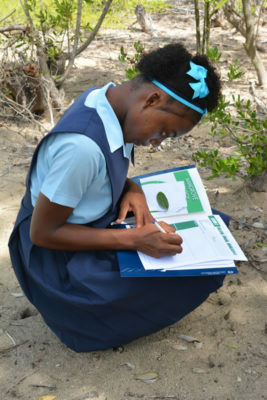 A student answers questions on her activity worksheet while on a field trip to a mangrove forest. 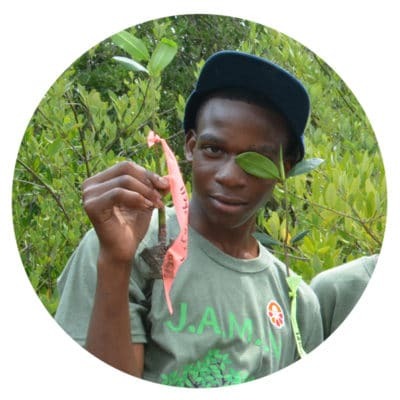 In order to restore and educate Jamaicans about this important ecosystem, we partnered with the University of the West Indies Discovery Bay Marine Laboratory to develop and implement the Jamaican Awareness of Mangroves in Nature (J.A.M.I.N.). The J.A.M.I.N. 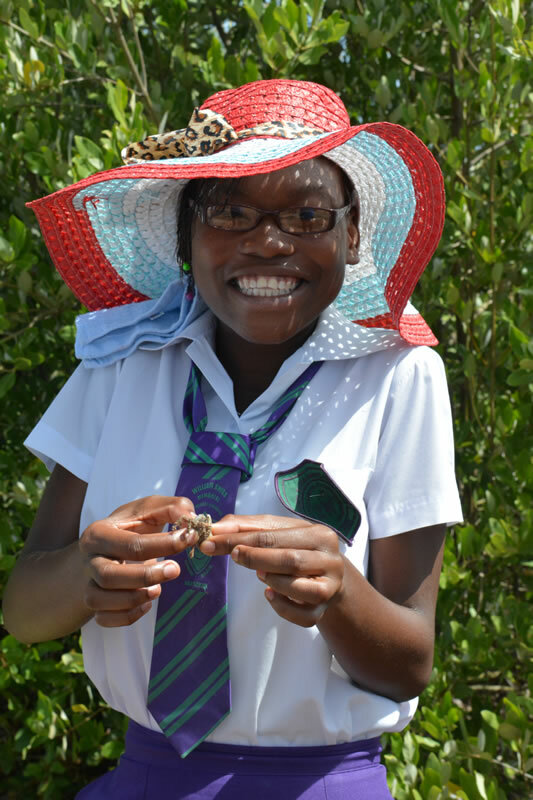 program is a hands-on outdoor education program that teaches students about the mangrove ecosystem through project-based learning. 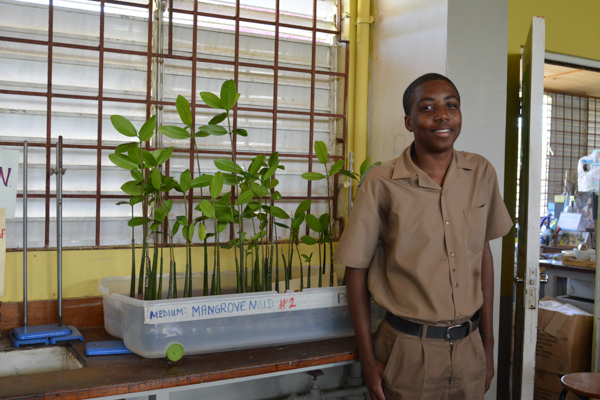 William Knibb student stands next to the mangrove propagules to show the scale. 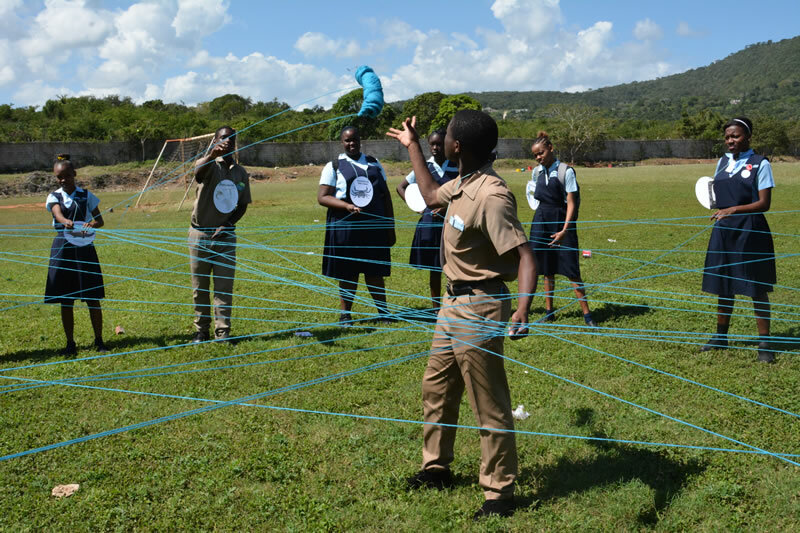 In October 2014, we launched the J.A.M.I.N. 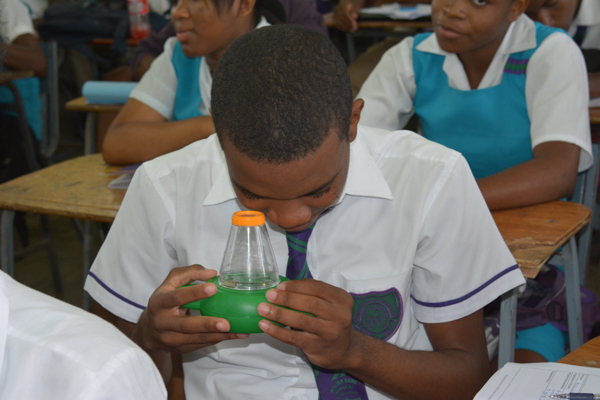 pilot project near Falmouth, Jamaica in two high schools. 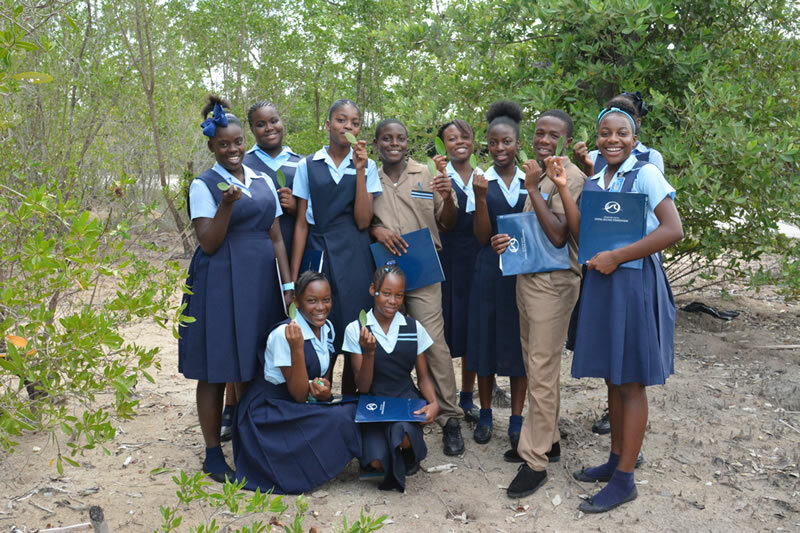 Two years later, we expanded the program to include a year 2 program, bringing the same students back to the mangrove forest to monitor and manage the mangrove ecosystem. During the same year, we teamed up with Seville Heritage Park in St. Ann’s Bay. 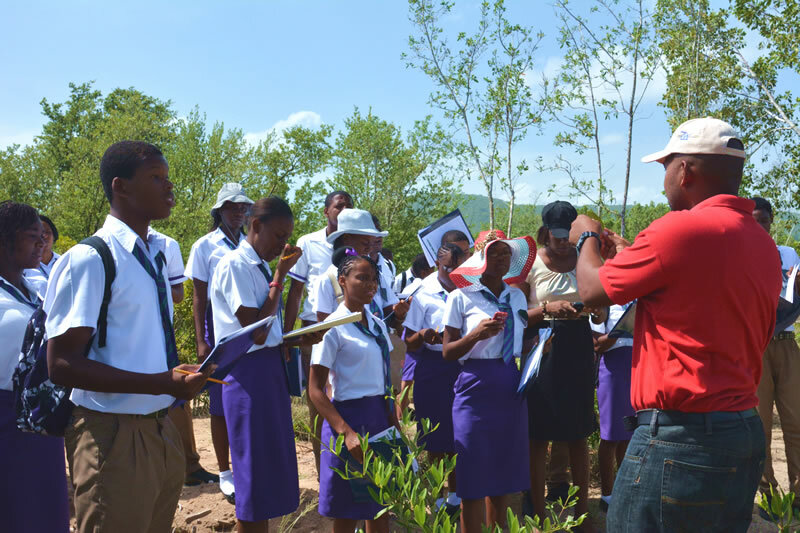 As part of this partnership, we bring students from area schools to this cultural heritage site to learn, restore, and monitor mangroves. 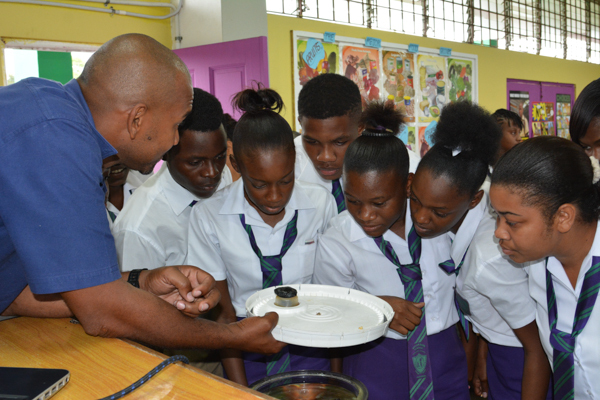 The program is currently being implemented in Falmouth at William Knibb High School and St. Hilda’s High School in Brown’s Town. Alligator Head Foundation partnered with us in 2018 to expand the J.A.M.I.N. 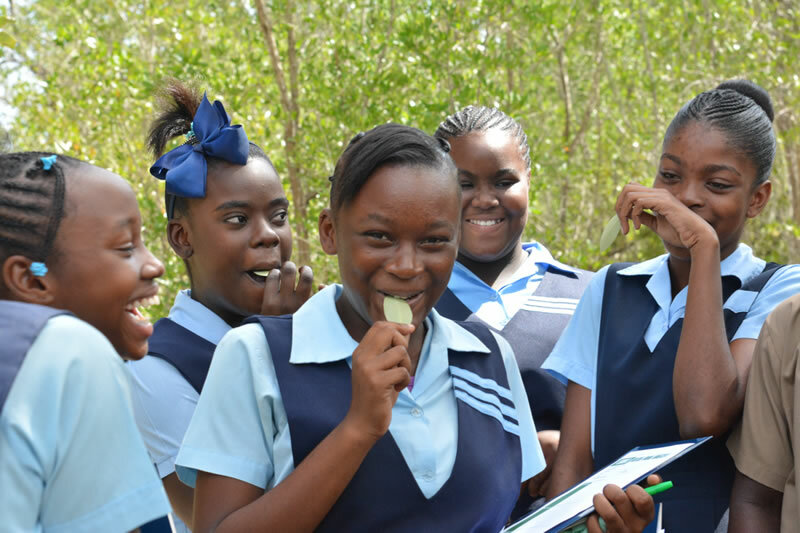 program to the greater Portland area in eastern Jamaica. 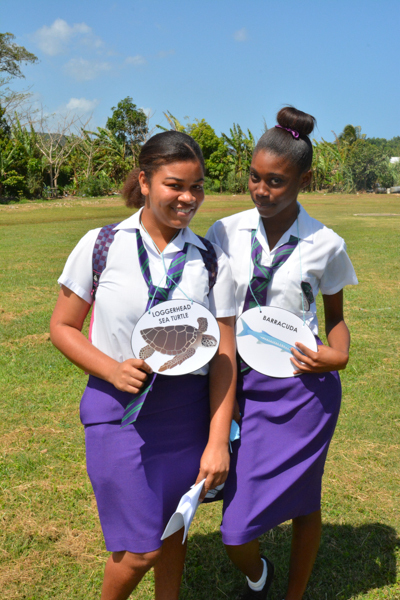 Two schools in the region are participating in the program – Titchfield High School and Port Antonio High School. 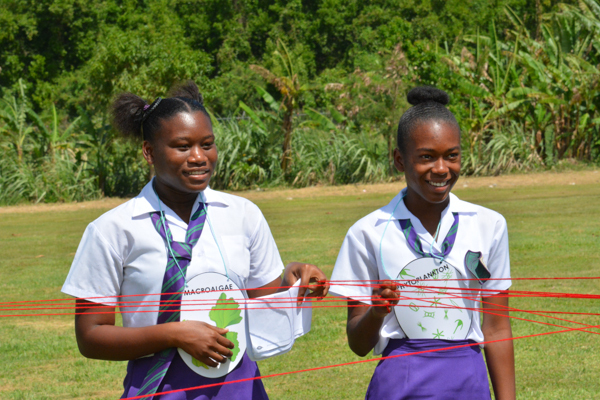 This partnership enables us to interact with a larger portion of the Jamaican population, with an organization that shares similar goals regarding education of the nations youth. We hope to inspire students to learn about, protect, and conserve their mangroves. 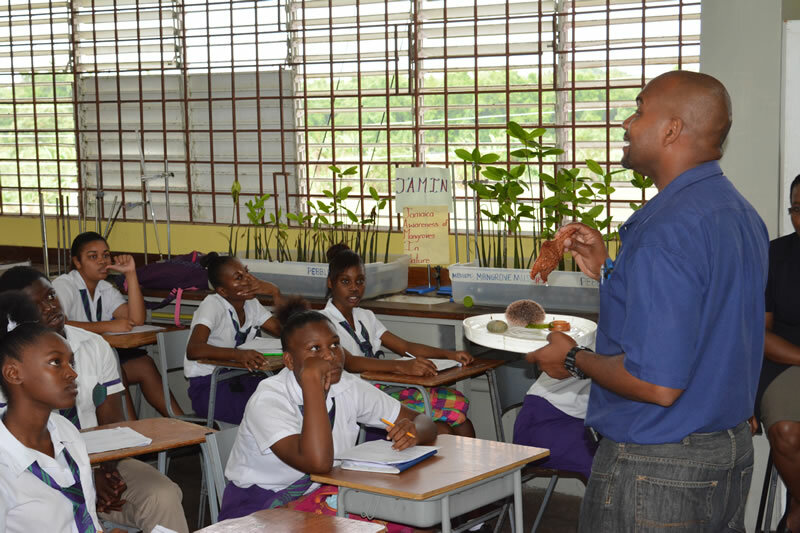 Other classrooms and schools have expressed interest in J.A.M.I.N. and we hope to be able to expand to include them soon. For more information, check out this blog, written during the first session of J.A.M.I.N. 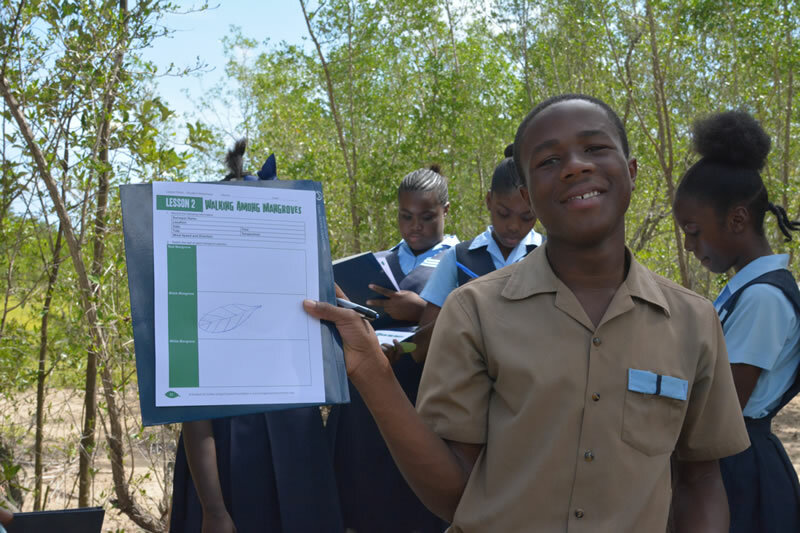 We have partnered with the Alligator Head Foundation to bring our Mangrove Education and Restoration Program to more students in Jamaica.